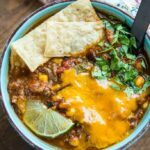 Slow Cooker Taco Soup is a family favorite dinner that has just a few ingredients and can be made in minutes. 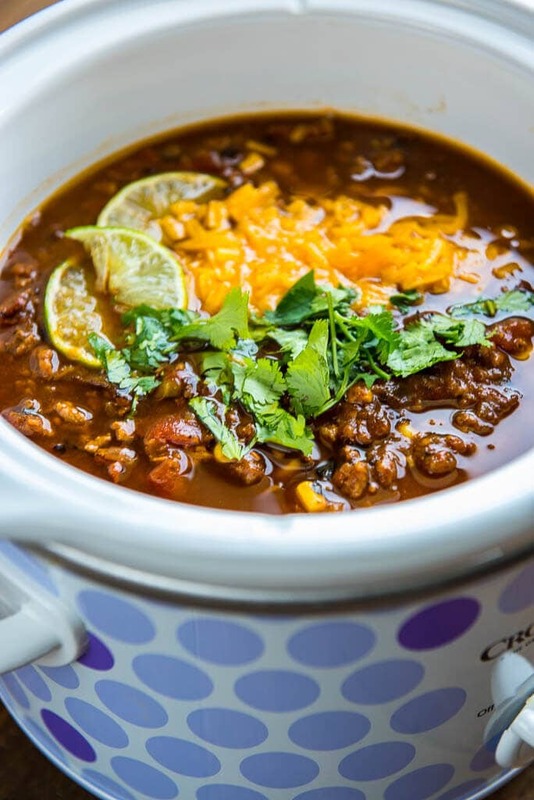 My secret ingredients makes it the best taco soup out there for flavor and richness! I know I’ve already shared a soup recipe with you this week but I was too excited about this one to hold on to it any longer. I do love my soups this time of year. For one thing they are the perfect warm you to your soul food on chilly fall or endlessly cold winter days. For another they are a filling and delicious way to eat a healthy dinner and then hopefully still have a healthy lunch left for the next day. 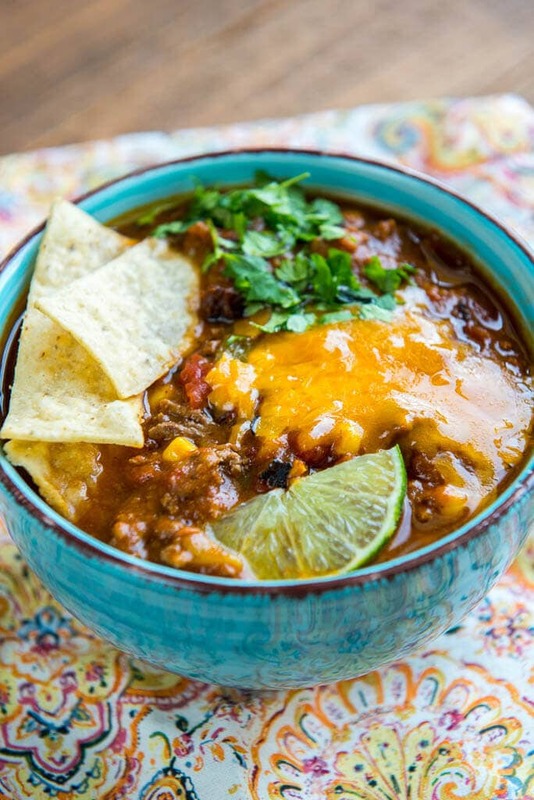 This slow cooker taco soup is no exception. It is super easy to make, full of healthy ingredients and very filling. 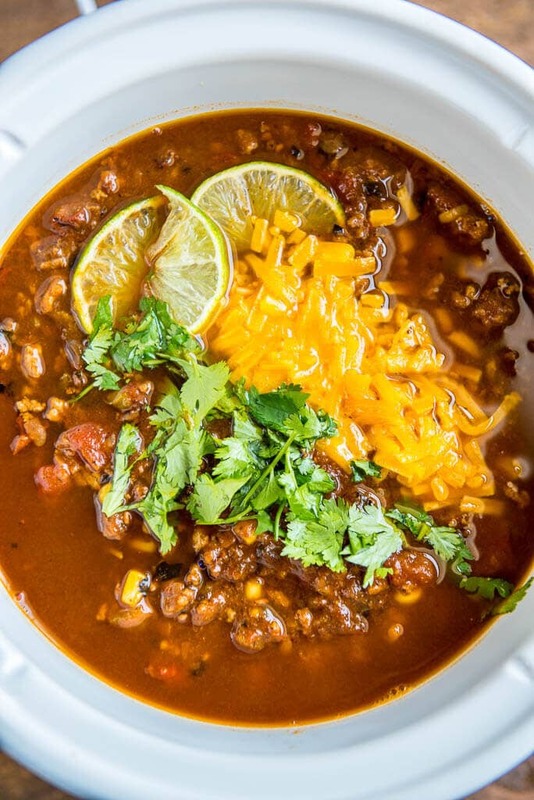 I know there are a million different taco soups out there and this is no reinvention of the wheel but there are a couple little tweaks that I think make this one stand out a bit in my list of favorites. 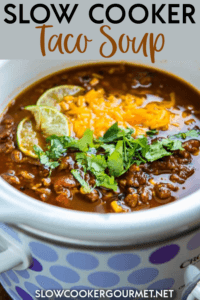 Instead of simply adding regular beans I used a can of refried beans which creates a nice thick base for the soup and makes it so hearty and filling. It also uses my homemade seasoning blends instead of packaged which to me just makes a world of difference. Such a fresh taste! Cook up your hamburger ahead of time and that will make your morning prep a cinch! 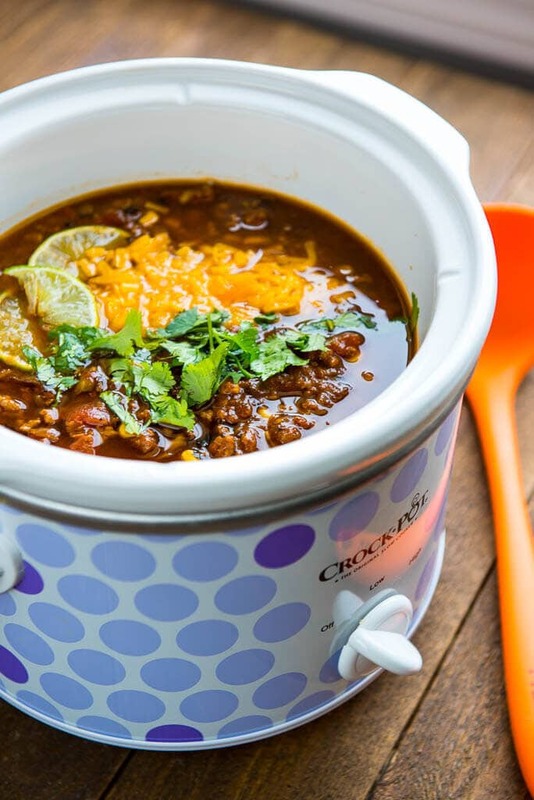 Or, if you have a multi-cooker, you can simply make everything in one pot. In fact, I think you’ll agree that a double batch is in order, just so you can have plenty of leftovers. Get the recipe for the homemade seasonings by clicking here! 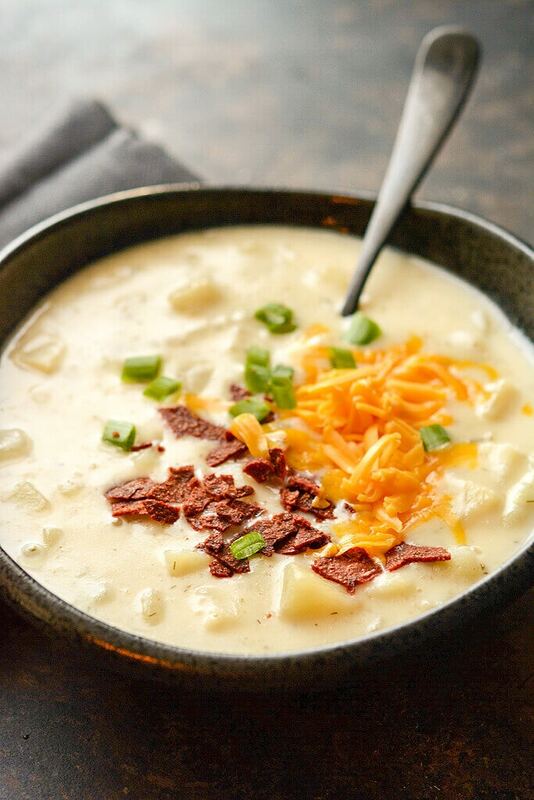 Hungry for more family favorite soup recipes? How long does this take to cook if it is not frozen? Do you mean if you do freeze it? 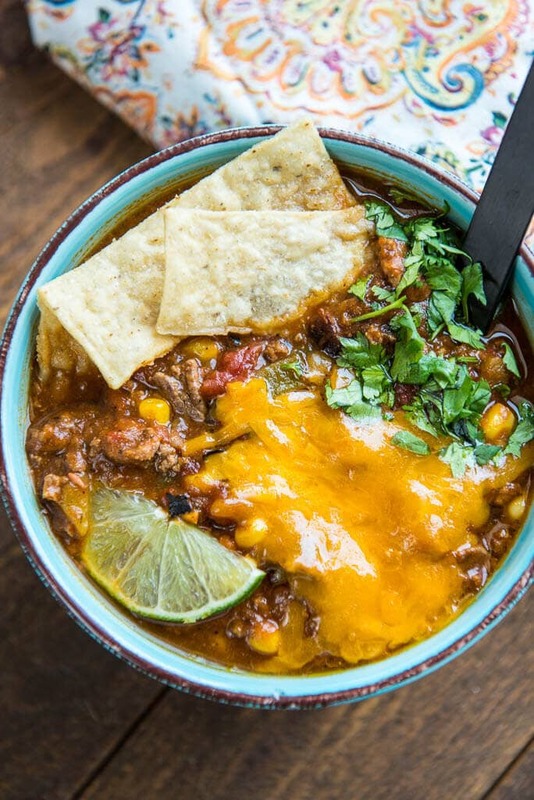 Wow this soup looks spicy and yummy, very much perfect for dinner! 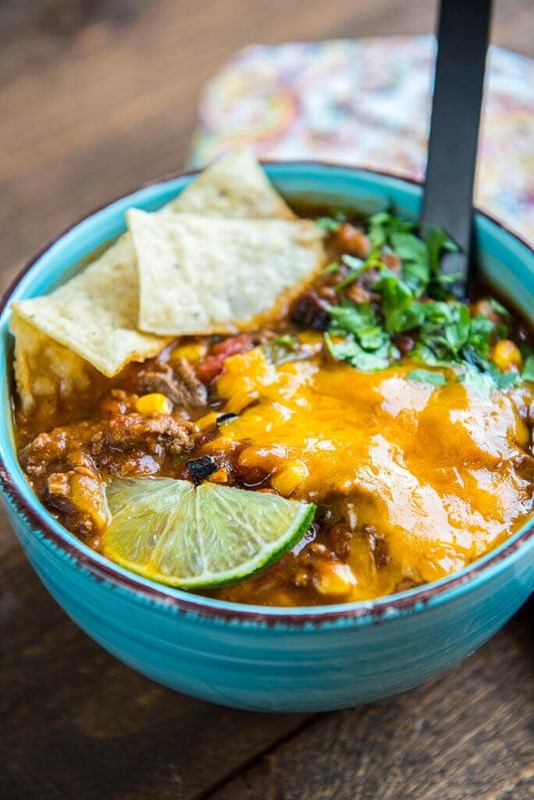 We love taco soup in our house and this version looks so good! I was looking for an easy beef soup recipe where I wanted to make my own seasoning. 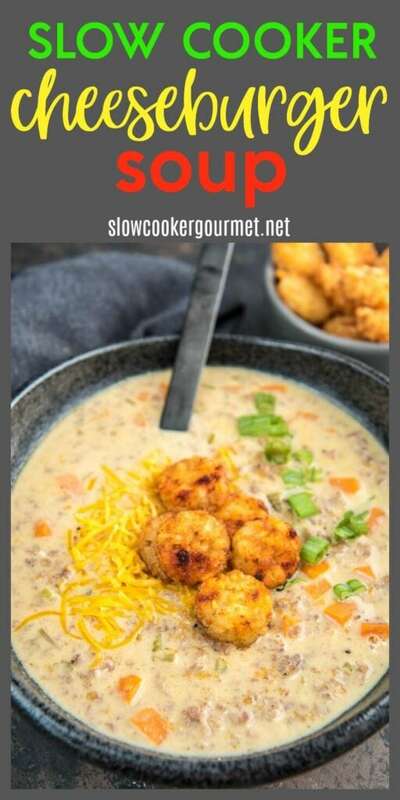 Then I came across this recipe and soooooo glad I did! I didn’t have dill and parsley so I drove all the way to the grocery store, fell in line for 10 mins just so I can make this. And I’m so relieved that it turned out to be soooo tasty!! I added cilantro and slices of avocado before I served it to my fiancé. He loved it!! He’s a picky eater and the better Chef at home so I was kinda nervous how this will turn out. But it didn’t disappoint me. Thank you for sharing! New subscriber in the house! Woo hoo! So glad you loved it!! I think the homemade seasoning just gives it that bit of extra flavor. Sounds so simple and yet so yummy!! Thank you!! You mentioned doubling it – have you done that?? I’m curious how it turned out because that’s exactly what I plan on doing!! So you just double all the ingredients, right?? Can’t wait to make this!! yes, double everything and it works perfectly! Hi Bre! Nope, you can totally leave them out. They were an update to the original recipe but are totally optional. My husband never knows what he wants for dinner. I ask him everyday, and he always says, “I don’t know.” This is the ONLY food he ever asks for. When he says what he wants, I make it! I keep ingredients on hand. It’s one of my favorites, too! I LOVE that!! Thanks for letting me know :). Glad you both enjoy it! We eat it with tortilla chips the first night, and eat the leftovers over rice!